Blend of natural and synthetic fibers with a wood back. 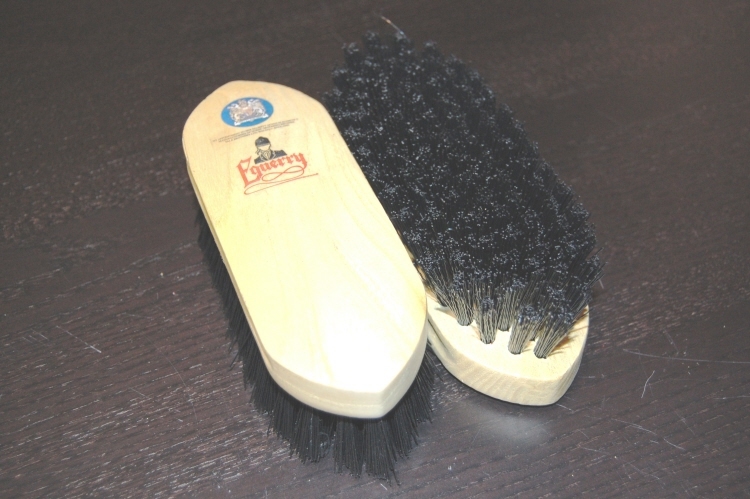 Great brush to help remove mud and give a good massage at the same time. Extremely hard wearing.